Dobson and Parnell is the latest venture by Andy Hook, the clever chap who brought us Blackfriars and Hinnies. 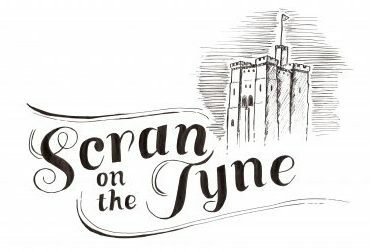 It arrived on the Quayside just before Christmas after a full refurbishment costing what looks like a fair whack. It’s a beauty. Think exposed timber and brick walls, hanging lights and white tiles dotted about, then there’s the lovely leather booths and studded chairs. The name of the restaurant pays homage to John Dobson and William Parnell, who if you haven’t already read elsewhere, are responsible for the beautiful Grade II listed building that houses the restaurant, built way back in 1863. I’m sure both would approve of the restaurant’s swish interior. Standards are high, with service to rival that of neighbouring spots like Six and 21. We were pleased to see one of the gents from Vallum Farm heading up the team on the restaurant floor, and again, this was just an assurance really of the standards set for Dobson and Parnell. The service is impeccable, with attentive and knowledgeable staff at hand for anything you need. I read a pretty condescending Parnell in The Chronicle recently, mocking the restaurant’s ethos for not seasoning food when cooking and suggesting the staff need to loosen up a little, but in my opinion, service is exactly as it should be in a fine dining establishment like this. Nobody was uptight, but you could tell that Hook wants to evoke a sense of occasion, regardless of how much the customer is paying. Personally, I like that approach. 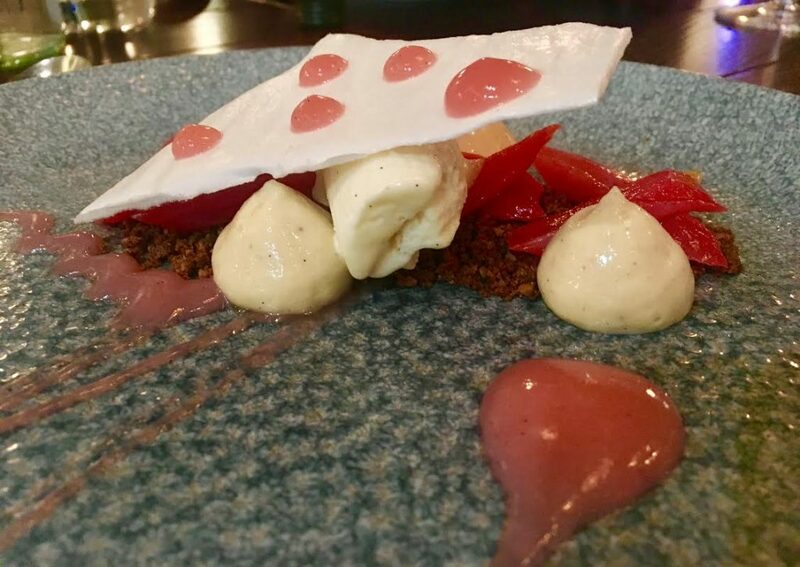 We visited on a Thursday night to grab a bite from their 3-course Daily Set menu, a snip at only £25 per person on an evening, and £21 per person for lunch. 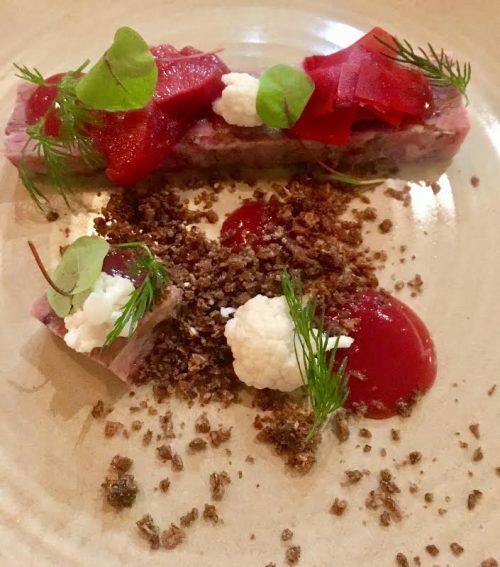 The menu, created by talented head chef Troy Terrington, who previously earned his chef whites at Jesmond Dene House and sister restaurant, Blackfriars, gives diners the choice between three locally-sourced and creative dishes for each course. While perusing, we were brought out a delicious amuse-bouche of salmon roe with a seeded crisp bread, and beautiful fresh bread with lovage butter. The butter, I’m pleased to report, was melted enough to get a knife in there and spread generously, which is always something I look out for. I can’t bear it when the butter is too cold and you end up splitting your bread right in the middle. Food-wise, it was an easy choice for me. 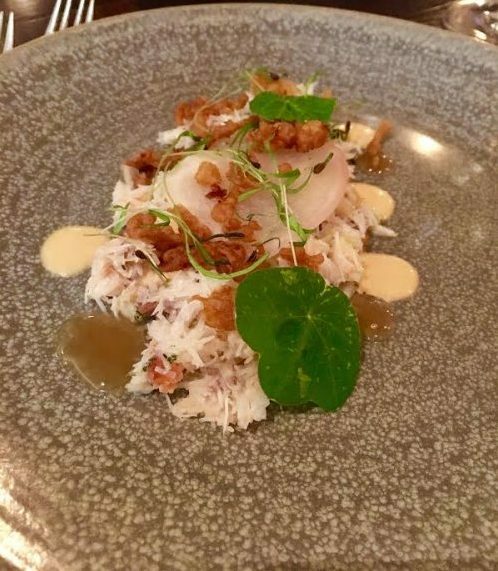 Our crisp South African white wine (£24) was crying out for some light fish dishes, so I opted for the North Shields Crab, dressed with fennel shoots, fermented turnip and mariner’s relish. That crab could have easily hopped straight out of the sea onto my plate with no intervention, it tasted so fresh. There was a smattering of fresh batter which added touch of crunch and you know what, the whole dish was perfectly composed. As you can see, presentation is outstanding, too, which you’d expect, and if you think my starter looks good, just wait until you see the beauty my boyfriend ordered. He opted for the Ham Hock terrine, served with beetroot served three ways and little florets of cauliflower. If you didn’t know any better, you’d think it was dessert, it was so stunningly presented. I mean who thought a terrine could look this good?! I had a little mouthful and it tasted as good as it looked. I often find terrines to be quite – what’s the word? Claggy. Catch in your throat kind of claggy, if you know what I mean. But not this one. It was light and fell apart easily with every prod of the fork, and the pickled beetroot was a great companion. The terrine he enjoyed wasn’t actually listed on the sample Set Menu so I couldn’t tell you what the crumb was, so if anyone fancies enlightening me, there’s a comments box below. Whilst ploughing through our starters, we were checked on a couple of times and glasses were topped up, as you’d expect. 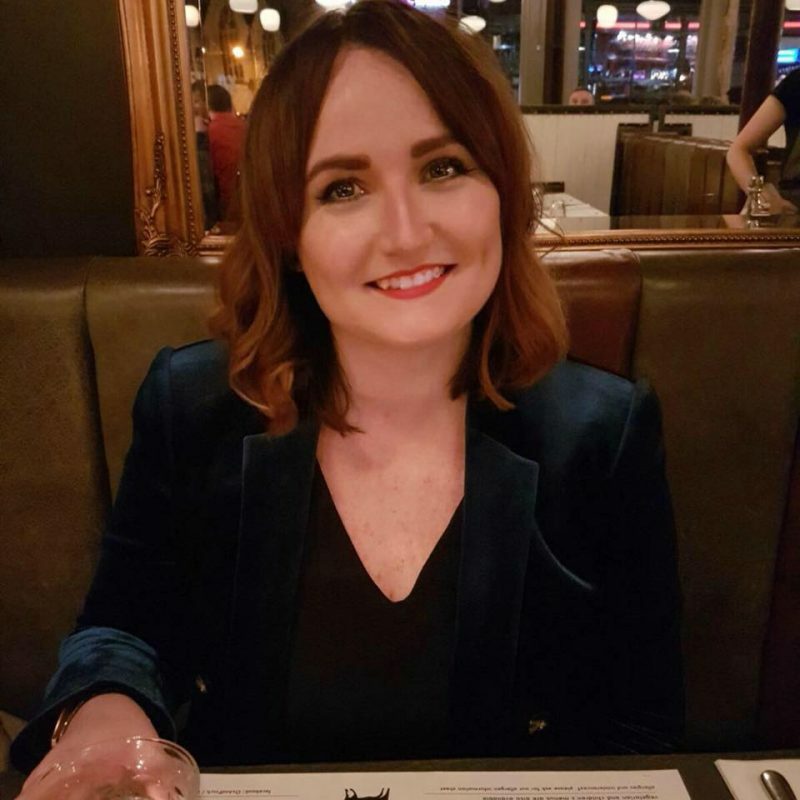 We had a wait of around 10 minutes before main courses arrived in all their glory, and spent a lot of that time trying to talk over the very loud and opinionated gent on the next table so we could have a conversation. The tables might be a little close together! Main courses were also an easy choice, with a fish course, meaty option and a vegetarian choice. I stuck with fish for my main course, as the pan-fried Stone Bass sounded like a delicious option. It certainly was. Crisp skin atop succulent flesh that fell away from itself, paired with frumenty, something I’ve never tried before. I’d say it’s quite like pearl barley, the texture is particularly moreish and if any of the dish was lacking seasoning, I was none the wiser. It was all about texture and bold flavours, from the citrusy kick of pickled lemon to the crunchy samphire – it all culminated in one very tasty dish. Tom’s main course, the roasted corn-fed chicken, was an equally well-put-together affair. 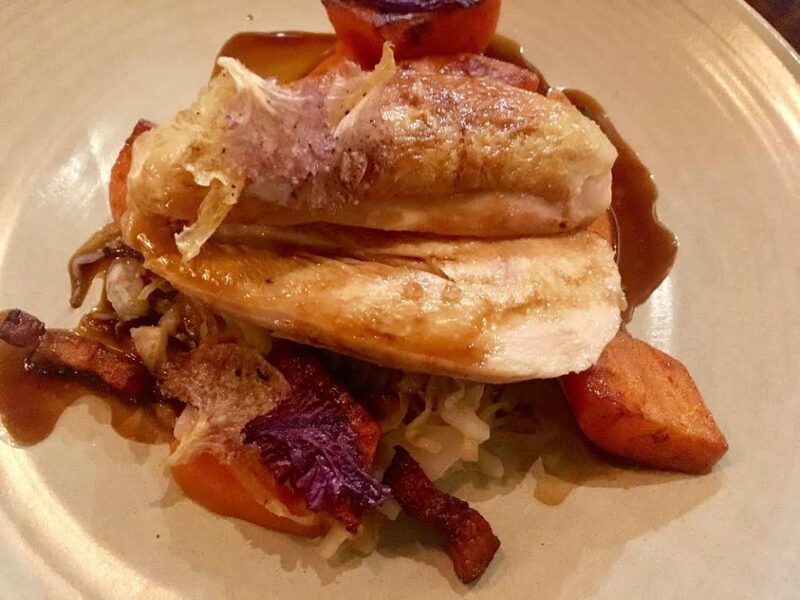 A generous serving of moist free-range chicken breast, paired with sweet heritage carrots, confit cabbage heart and the very welcome addition of pancetta, all sealed with a delicious meaty jus. Obviously, the chicken was cooked to perfection, and the pancetta added a saltiness that complimented the carrots and confit cabbage. Whenever he orders chicken I always worry he’ll regret it, but this was sublime. Just look at that mouth-watering meat! Both main courses were deceptively filling, which I wasn’t expecting as the portions looked small, but clearly they’re composed to fill you up in the right way, leaving room dessert and not cramming your stomach with starchy and heavy stuff. 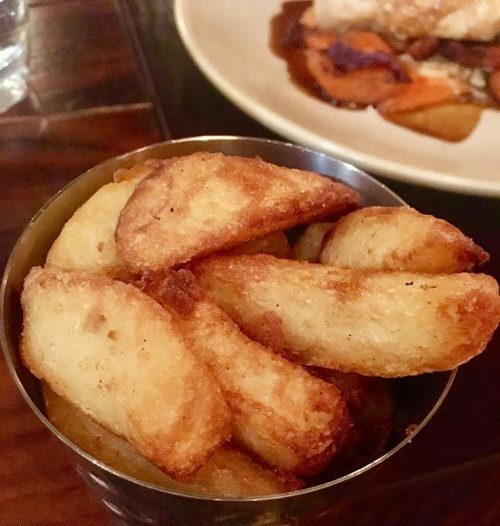 That said, we did also get a portion of the triple-cooked chips on the side, to share, which were crispy and fluffy and everything a good chip should be. Well worth the £4, if you fancy something naughty on the side. So yes, we had rooms for desserts and despite the guy on the table next to us proclaiming his rhubarb to be ‘frozen then microwaved’, I went for it. ‘It’ being the Yorkshire Rhubarb with ricotta, white chocolate parfait and whey fudge, along with, as you’ll see in the picture, a meringue-like slab with drops of rhubarb dotted across it. As far as I’m concerned, there was no pre-freezing or microwaving of the rhubarb, it was fresh, sweet and delicious. I always try and order something fruity if I’m going for dessert, and when it’s rhubarb, it’s a no brainer. Especially when it’s paired with white chocolate parfait. All in all, a great dessert and the perfect choice for someone like me, who’s not really into sweet things. My boyfriend’s dessert was the exact opposite. He went for the Bitter Manjari Chocolate, served with candied clementine and pistachio frangipane. 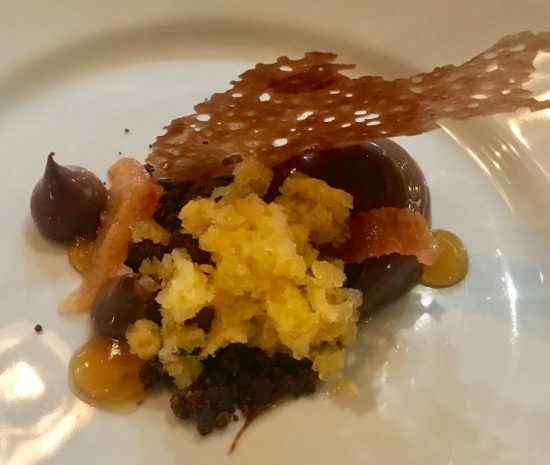 It was rich, decadent and (in my opinion) a little on the sickly side, however the addition of slushed orange sorbet and the candied clementine added a distraction from the strong flavour of chocolate. And look how glossy that chocolate is! As much as this dessert wasn’t my cup of tea, Tom enjoyed it and the amazing (huge!) caramel crisp added the final bit of drama to the plate. It’s proven to be a popular one, as the majority of pictures I’ve seen on social media are of this exact dessert. Given how much of a showstopper it looks like, I’m not surprised. After dinner I’d pondered over the range of spirits on offer, but we decided to move on and get drinks at the nearby Bridge Tavern. It was there I was told that actually, Dobson and Parnell had suffered a gas shortage for most of the week, so the fact they were open and functioning at such a high standard, was quite the achievement. In fact, the work was ongoing outside during our meal, and aside from the odd racket from a hydraulic drill, you wouldn’t have guessed Queen Street was embroiled in gas shortage turmoil. One additional thing to note, is the wine cabinet near the door, which pretty much every punter who left before us mistook for the exit. I felt slightly sorry (whilst muffling laughter after around the third or fourth time!) for both the people mistaking it for the door and the people sitting at the table behind the cabinet, but the fact is, they need to signpost that exit better or it’s just going to keep happening. I’d say our Dobson and Parnell experience was about a 9 out of 10. 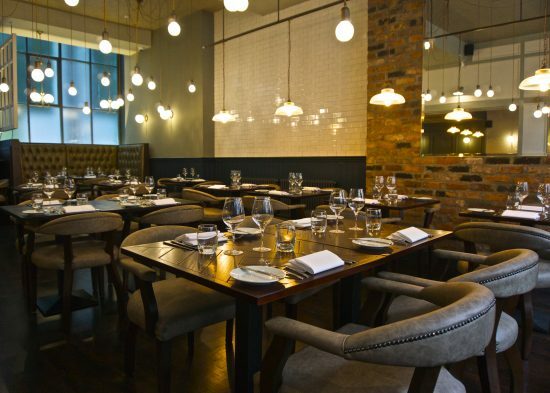 I’m absolutely dying to try their Sunday lunch menu, which looks and sounds incredible, and I’d definitely want to sample a few more of their excellent selection of wines. 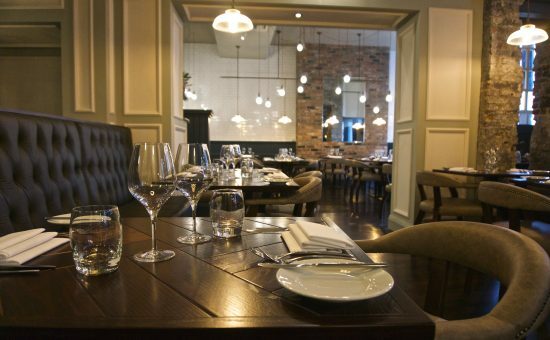 Their A’la Carte menu sounds pretty special, too, especially the Waterhouse Farm Lamb, served with winter squash, black garlic and samphire (£18) and the Wild Duck Breast (£20) with preserved cabbage, seared duck liver and apple jelly. 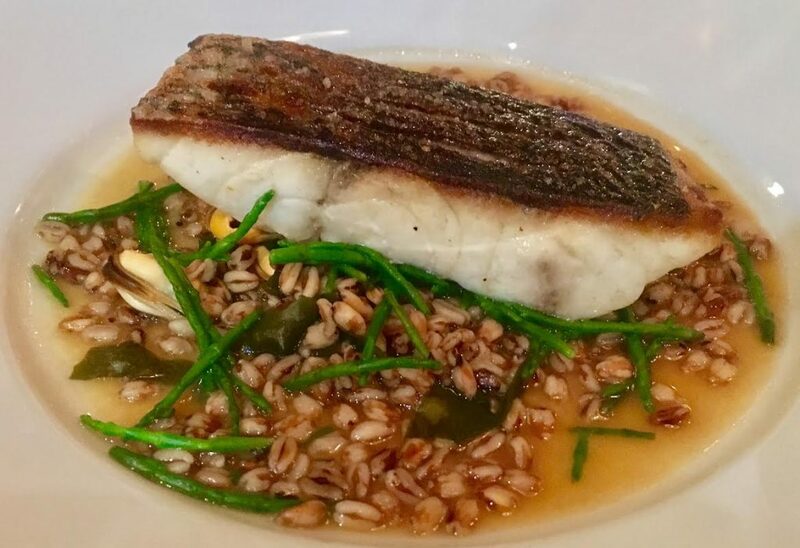 The Blackfriars influences in the menu are visible to the trained eye, with the likes of frumenty and rich gamey dishes the most obvious of these. Terrington and Hook are aiming to keep things as seasonal, locally-sourced and sustainable as possible, so expect a lot of creativity in menus to come. I for one, can’t wait. 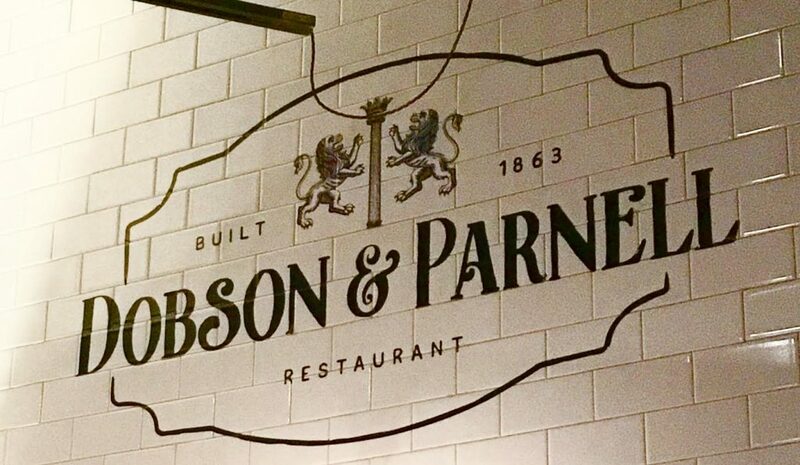 If our first encounter with Dobson and Parnell was anything to go by, we’re going to be big fans of this place. We’ve got a Sunday lunch reservation in the coming weeks, so expect an update from me on that front. 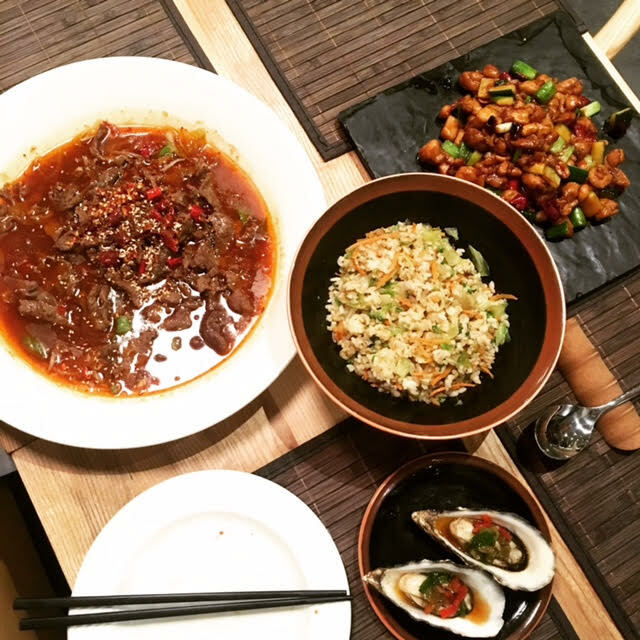 If you’re looking to enjoy refined, creative and delicious food at a reasonable price, I recommend you check out their Set Menu between 12pm-2.30pm and 5.30pm-7pm Tuesday to Saturday. We’ll probably see you there! 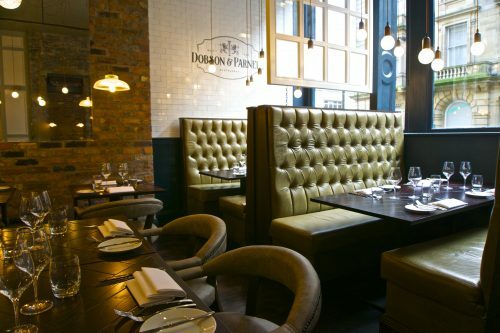 Dobson and Parnell, 21 Queen Street, Newcastle upon Tyne, NE1 3UG. Visit their website for sample menus and contact information for booking. You can also register for their Food Club, which will get you discounts a special previews by email. We were offered complimentary food for the purpose of this review, all drinks were paid for by ourselves. As ever, all views are true to experience. Big thanks also to Sam Hook for some of the interior photos – it was a little too busy and a little too dark to get a good bunch of them myself! Previous Post Festival on the Wall is coming to a field near you!